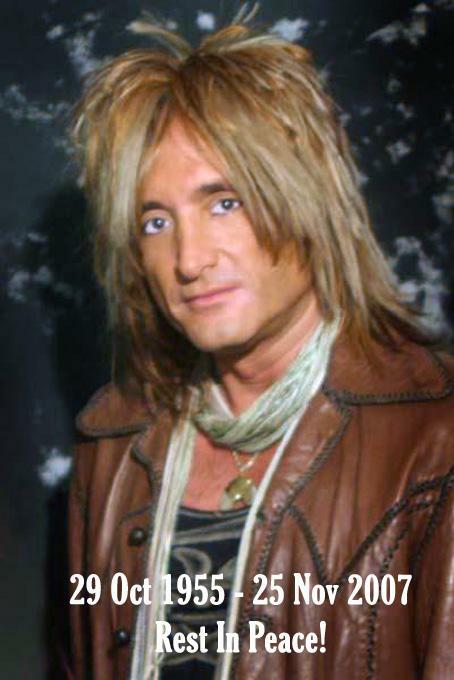 On November 25, 2008 we commemorate the first anniversary of a very sad event, the passing of Kevin DuBrow. It is both incredible and unbelievable that the bigger than life person and talent that he was is no more. You are missed my friend, but not forgotten. I’d like to take this opportunity to once again re-post here my tribute to my friend which is a permanent part of my Website. Kevin and I shared a twenty-seven year personal and musical friendship that encompassed both great triumphs as well as difficult and hard times. We were like brothers in many ways which sometimes found us at great odds with each other. One of Kevin’s most endearing qualities was also to his detriment, as he was outspoken and you always knew where you stood with him. This quality made for close friends but also many critics of his point of view. Kevin had so many sides to his personality that few saw beyond his stage and professional persona. Musically he knew more about the bands we loved from the musical periods we grew up with than anyone I’ve ever known. And If you were one of his close friends he always made you feel like you were the most important person in his life. He was always incredibly supportive of my drumming, more so than anyone I’ve ever known. I find comfort in knowing that the last three years of Kevin’s life he was the happiest I had seen him since the glory days of QUIET RIOT. I am also comforted in knowing that the last time we saw each other at the airport for our respective flights home I said “I love you my brother, have a safe flight and please call me when you get to Vegas so that I know you got there all right.” He replied “I love you too my brother” and we hugged.We shared similar sentiments on our last phone conversations, e-mails and text messages. In this I have no regrets. It is incomprehensible for me to believe that he is now gone. There is such a void in my personal and musical life now that I don’t know if it will ever be filled. I miss his phone calls and our conversations about music. I miss that I will never be able to see him in front of me singing and laughing again. I miss his presence. The truest cliche of cliches is that “life goes on” and this too I must accept. In life Kevin was human with all it’s frailties. In his passing he is immortalized through the music that I was privileged to create alongside him in QUIET RIOT. A pine tree can last a hundred years, each sunrise lasts but a day. Yet each one fulfills its own destiny. Kevin was a great singer and a “Rock Star” in every sense of the word and, in this, he too fulfilled his destiny. May God rest you in his light and peace.